This Crafty Quilt Tote Designed by Elaine Theriault for Allpeoplequilt, The Pattern is available for free. 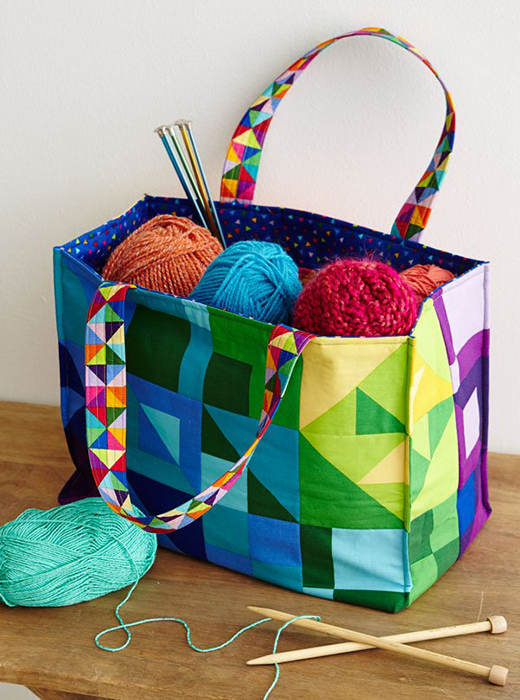 This tote is a terrific take-along to a sewing retreat or knitting get-together. Fabrics are from the ColorWorks Concepts Phase II collection by Northcott.